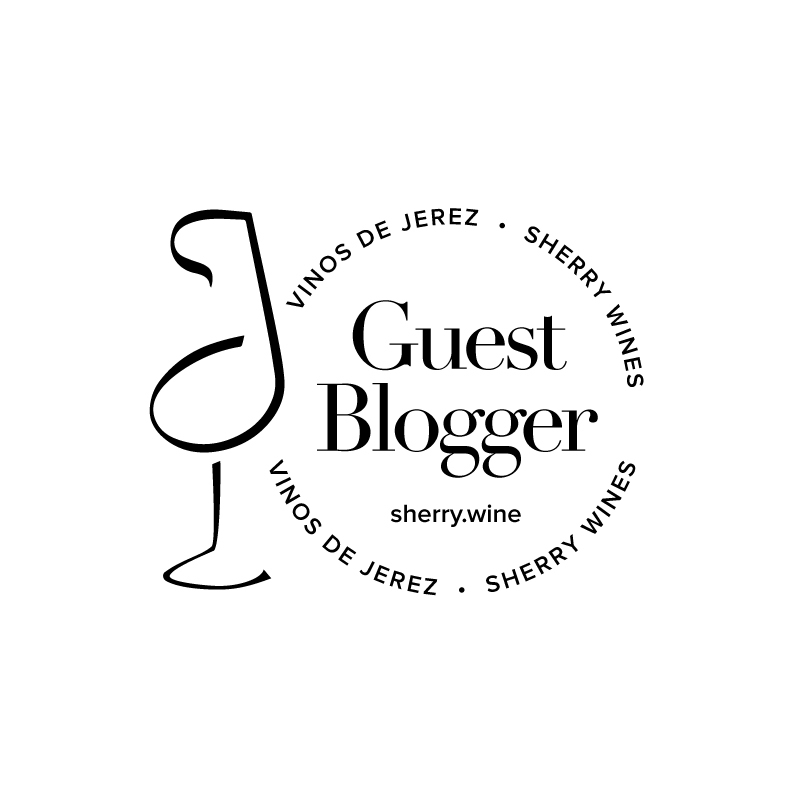 With World Sherry Day (well World Sherry week really) finally upon us, sherry lovers in Ireland are gearing up for a variety of events that are taking place countrywide. Those near Dublin can attend a ‘bring a bottle’ sherry tasting this evening in Instituto Cervantes organised by John Wilson and Raymond Blake but all across the island many retailers, restaurants and bars will be showcasing sherry all week, so pay them a visit and discover what all the fuss is about. The biggest conundrum I’m facing at the moment is what to bring along to this ‘bring a bottle’ tasting. No matter what I decide to bring, I’m sure that there will be ample manzanilla to go around such is its popularity at the moment. Manzanilla, like fino, is a biologically aged wine, spending its entire life in the solera system under a veil of flor that protects it from oxidation. 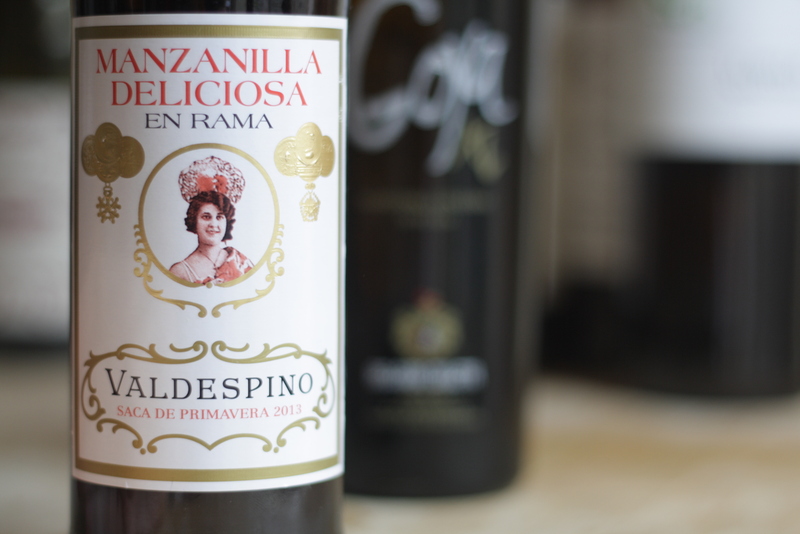 The difference between manzanilla and fino is that the former must be matured in the coastal town of Sanlúcar de Barrameda. The geographical location of Sanlúcar, lying between the Atlantic Ocean and the Guadalquivir River, provides a more constant but also more humid microclimate than Jerez. This microclimate allows for abundant flor growth and produces a bone dry, sea breeze fresh, salty and elegant sherry. Those keen to learn more about manzanilla should get their hands on two books – “Manzanilla” by Christopher Fielden and Javier Hidalgo (widely available online) and “Sherry, Manzanilla an Montilla” by Peter Liem and Jesús Barquín (available online in Europe from Liquid Curiosity). I love the freshness and lightness of manzanilla, but must acknowledge that, whether as a result of the heavy filtration and stabilisation processes to which most modern manzanillas are subjected to or due to other factors beyond my comprehension, I find some manzanillas can lack the complexity of other ‘sherries’ – a factor that is only exacerbated if the wine also lacks an inherent freshness. Why not just drink fino or manzanilla pasada then? Well, quite simply, it’s because I want the best of both worlds – a sherry that is light, fresh, intense and complex. Thankfully many of the bodegas in Sanlúcar have released a range of limited edition manzanillas that can rival many sherries in terms of complexity. Here are some that I’ve enjoyed over the last few months. 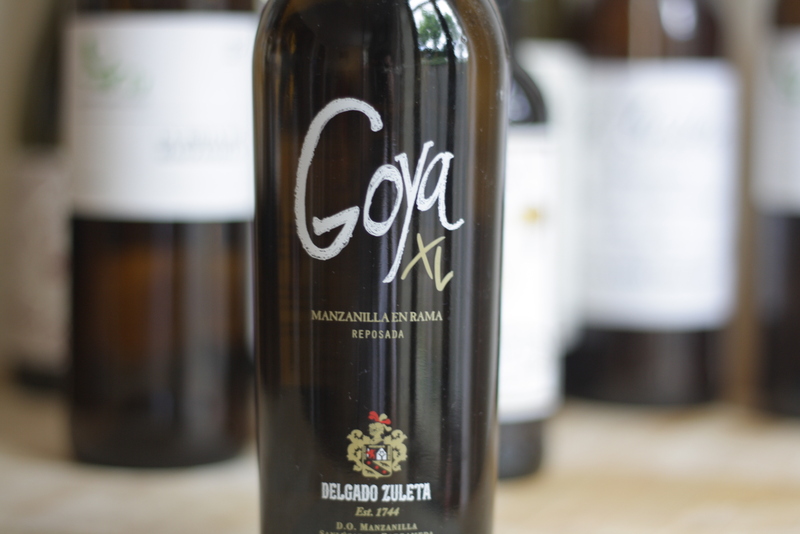 Delgado Zuleta Goya XL Manzanilla En Rama Reposada: From the house that produces La Goya manzanilla comes Goya XL, a 10 year old manzanilla bottled with minimal or no filtration and stabilisation. Its camomile and citrus freshness provides the backbone for a complex and interesting wine with great length. €23 per 500ml. Available in Ireland from Black Pig and 64 Wine via Vinos Tito. 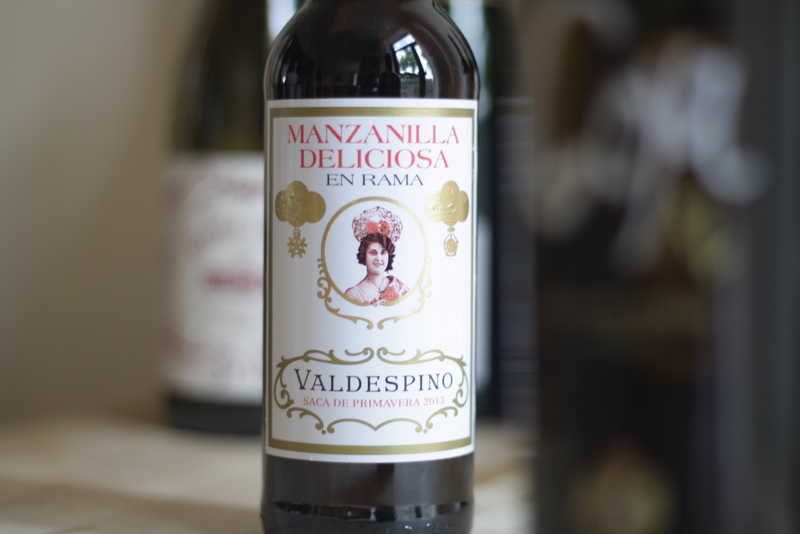 Valdespino Manzanilla Deliciosa En Rama: This sherry first appeared on my radar when reading about some of the tastings at the recent Sherryfest West event held in Portland, Oregon. After some mild pleading and badgering of the importer for Valdespino in Ireland, it has now arrived on these shores. 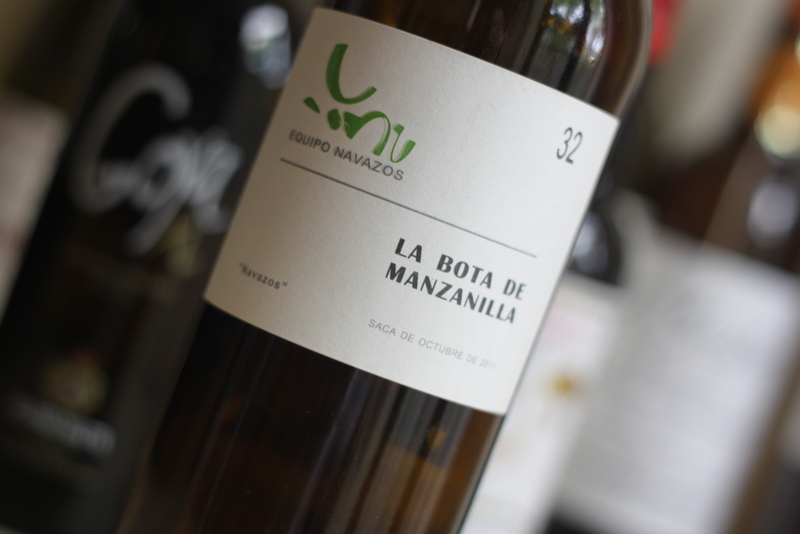 It’s quite different from the regular Manzanilla Deliciosa in all the ways you would expect – deeper colour, more intense aromas on the nose and far more pronounced nutty and mineral flavours on the palate. Its relatively lively acidity really stood out and made me yearn for some sashimi to eat alongside it. €13.99 per 375ml from Donnybrook Fair via Liberty Wines. Equipo Navazos La Bota de Manzanilla No. 32: Quite simply the best manzanilla I’ve ever tasted. Despite it being one of the easiest Equipo Navazos wines to track down and also one of the most keenly priced in their portfolio, this sherry is not only an expression of all of the best attributes of manzanilla, it also takes the spectrum of flavours and textures on the palate to entirely new levels. Read my full thoughts about it here. Available in Ireland via Berry Bros. & Rudd. Edit: Disclosure – Liquid Curiosity very kindly gave me a small discount on my purchase of the Sherry Manzanilla and Montilla book.